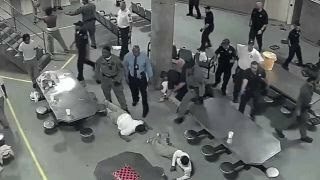 A detention officer at a county jail in Oklahoma was punched and thrown to the ground by an inmate before another inmate intervened. 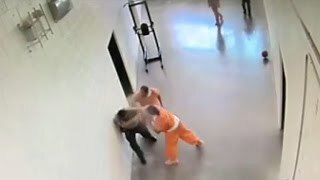 Horrific attack caught on camera. 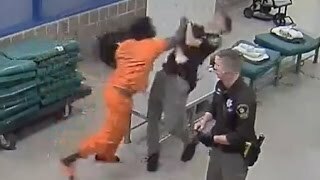 A 17-year-old in Racine, Wisconsin, attacked a corrections officer without warning while being booked - before other officers tackled him to the ground. 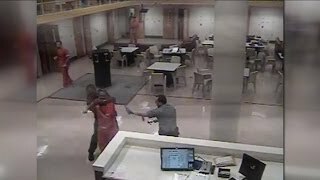 A guard is waiting to be sentenced for attacking a prisoner in a cell in Newcastle court north of Sydney. 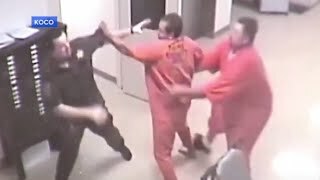 Three officers struggle to restrain the inmate. 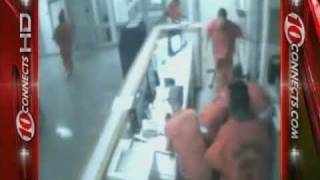 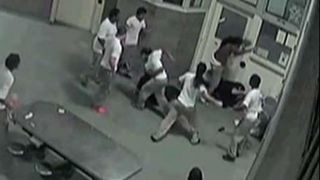 Raw video: Surveillance camera captures violent fight at Cook County Jail's maximum security division.